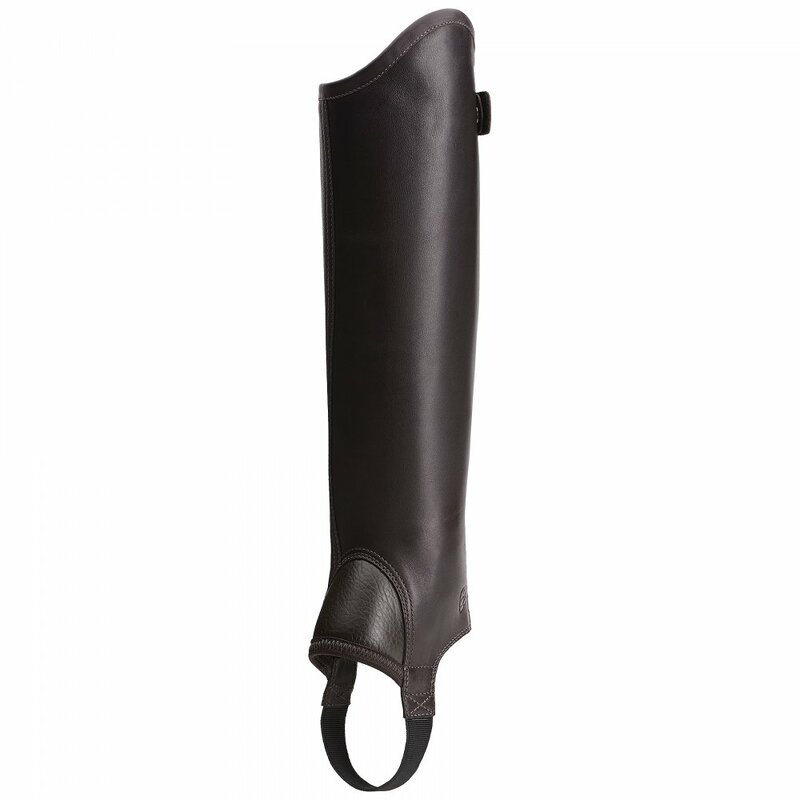 The Ariat Chorus Chap is made from soft, smooth leather and is the perfect competition gaiter. The Chorus Chap is similar in style to the very popular Ariat Concord Chap but features a smooth leather inner leg panel as opposed to suede. These Ariat chaps have a full length rear zip to ensure they are competition legal with an elasticated panel to give a close, comfortable fit on the leg. Ariat Chorus Chaps have Ariat branding on the ankle and an Ariat branded popper on the top of the leg.